If ever a Borussia Dortmund fan of a younger generation had the temerity to ask what Roman Weidenfeller has ever done for us - taking their cue from Monty Python - the answers would be shot back as swiftly as they were witheringly. One of the Bundesliga's under-appreciated greats, Weidenfeller, who made his final top-flight outing as a late substitute in BVB's end-of-season defeat against Hoffenheim, has an honours list to compare with the best of them: twice a Bundesliga champion, twice a DFB Cup winner and a UEFA Champions League finalist in 2013. Put simply, he is one of the lesser-heralded – but no less vital – influences behind Dortmund's staggering recent success. And that's only talking about club level – his brief but wildly successful international career made him both Germany's oldest debutant between the sticks and a 2014 FIFA World Cup winner. Not bad for a bloke who started out as back-up to Jens Lehmann. Weidenfeller's consistency and leadership at the highest level were influential as Klopp turned BVB from domestic also-rans to continental powerhouse – as well as that fine shot-stopping and the aura of calmness he transmitted to his defence, Weidenfeller skippered the 2010/11 title-winning side in the absence of Sebastian Kehl, which was more often than not. Regarded as a calm, family man off the field, Weidenfeller went down in BVB legend for a post-match interview given at the Signal Iduna Park after winning that Meisterschale. 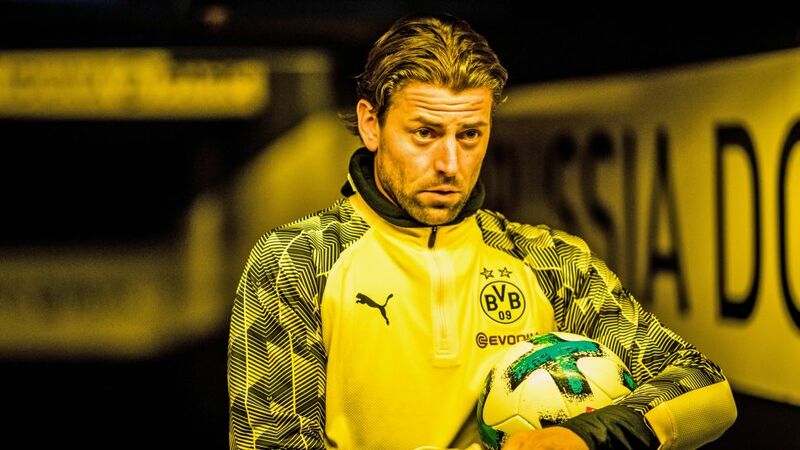 When begged for a comment by a visiting broadcaster, Weidenfeller responded: "I think we have a grandiose saison gespielt," mixing up German and English to much hilarity. So much hilarity, in fact, that to honour his career, Dortmund fans have produced t-shirts reading, "You have 16 grandiose saisons gespielt." Klopp called it a comment that would "go down in history". Weidenfeller's on-field performances continued to draw praise the following year: he played 32 of 34 Bundesliga games as BVB retained the title, in large part thanks to his 86th-minute penalty save on Matchday 30 from Bayern Munich's Arjen Robben, preserving Dortmund's 1-0 lead and grip on the salad bowl. The arrival of Tuchel's successor, Peter Bosz, also led to more bench time, although he was the first to admit that his role within the squad had changed: "Nobody happily takes a step back, but youth catches up with everyone eventually," he told kicker earlier this season. "Since I've not been No1, I feel a bit more like the soul of the team. I try to keep the team together, to connect generations and set boundaries. I'm still hungry to win every game, and that's something I want to pass on." There, then, would be the answer as to what Roman has done for us. No further questions, your Honour.